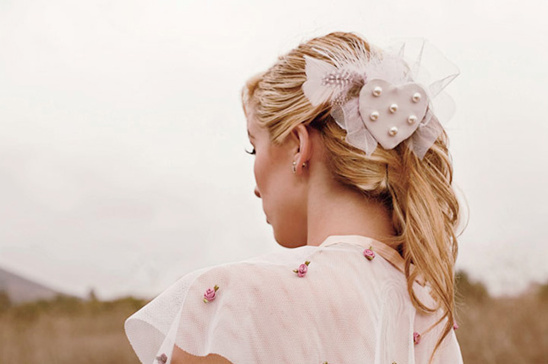 Today we are giving away a wedding gown and headpiece from Lovey Bridal. Each of her unique pieces are custom made and hand sewn by the Isha in San Diego, California. All of her dresses have a cutting edge style and are perfect for that bride look for a little something with with flavor. Visit Lovey Bridal and come back to The Wedding Chicks and leave a comment on what you love about Lovey Bridal! Enter as many times as you like before next Friday December 10, 2010! Comments will close on Friday, December 10th and the winners will be announced Monday, December 13, 2010!